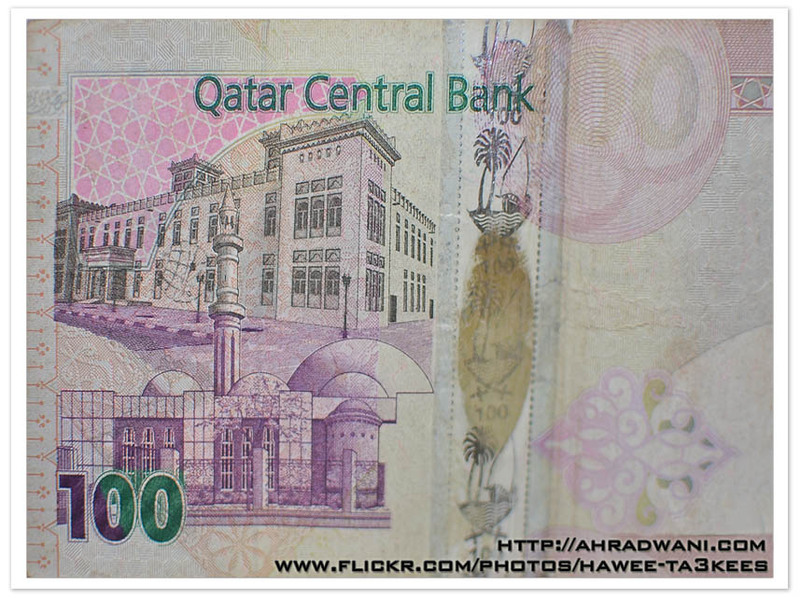 This is a shot of the 100 Qatari Riyal [1$ = 3.65QR], it’s a yellow, green and mauve money paper with some draws. It shows two buildings first one for a traditional building and in front a mosque. Three colored Bottles.. Water drops from bottle..